I love you guys. All of you; that includes you too, Michael. Your real, awkward banter makes me feel so at home, and I learn so much and have so much fun listening to every episode. I hope you guys keep making these for a very long time to come. Also, Koichi, keep being ridiculously absurd. Forget the haters. Life your life the way only you can. This is my favorite flavor of podcast. Light, crunchy, spicy but not too spicy. I love washing it down with an ice cold Wanikani... refreshing. Thank you for these delicious ear snacks. I work at a pretty mundane factory job and this podcast gets me through the day. Very informative, fun, and a tangent is always good every so often (despite what others say).My only issue with this show is that people at my job think Iâm crazy because Iâm constantly laughing to myself!P.S. - Kristen is my spirit animal. Sometimes silly, sometimes really deep, sometimes both. Lots of really detailed information on various topics revolving around Japanese linguistics and how they inform life. The Tofugu Podcast can be described as two coworkers, Koichi and Michael, driving their colleagues and guests into a state of psychological freefall with their constant, sadomasochistic torpedoing of each episode. Check it out. I love this podcast. Mix Japanese learning with the weirdness of Portland and Tofugu is born. On any day I find their jokes, puns, and humor fantastically executed; you can really tell all of the hosts enjoy each otherâs company and they just have fun. It really makes my commute here in Phoenix so very enjoyable. I studied Japanese and East Asian Studies at Western Washington Univ. almost 20 years ago, and really wish we had the resources Tofugu brings then. Keep up the amazing work. Oh, if you can, check out their YouTube channel, especially the travel vids in Japan. Big fan of the podcast. I started listestening 5 months ago and have just completed listening to all the episodes. The topics and content are super interesting and I like the fact that the hosts are being true to themselves and keeping the overall atmosphere casual and fun. You'll definitely learn some useful things that you wont normally learn in a beginner Japanese language course. Interesting content but in my opinion, horrible execution. The audio is all over the place, the guests are unprepared to teach and communicate and the general dialogue is pretty awful. Itâs 90% filler, and not é¢ç½ã filler at that. Oh and if youâre trying to teach, it would be nice if the Japanese wasnât spoken so fast, or was at least slowed down afterwards. Your website is awesome though so.. Iâm hoping these podcasts get better too :) best of luck. Just wanted to see if you guys were going to weigh in on the pop singerâs tattoo on her palm. Japanese learning for (the goofy) adults! I just want to say that I absolutely love all the tangents you guys go off on! I just moved to Okinawa for the next couple of years and am trying to learn Japanese. While at home or in the car I listen to these podcasts to help me understand the unexplained details I hear in day-to-day Japanese. I also use Wanikani every morning with my coffee and night on the couch. So many turtles, so much kanji, and tangents galore! 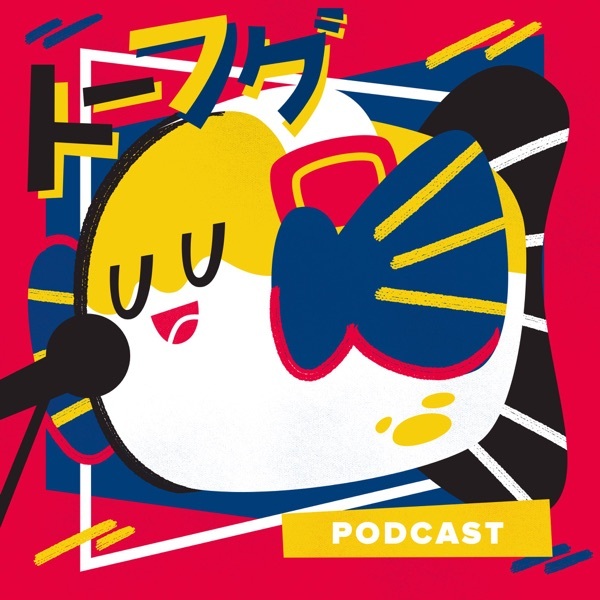 Thereâs a surprisingly low number of Japanese-language podcasts that are regularly being updated with new episodes and the ones that are updated are usually very bookish and formulaic in nature, but not with Tofugu.I was drawn in by Tofuguâs charming podcast artwork of a fugu blowfish wearing headphones and speaking into a microphone, but when I listened to my first episode on various Japanese counters, I was instantly hooked. The presenters all have great personalities and each have something unique to bring to the table. Michael with his goofy and great sense of humor; Kanae with her sweet and insightful Japanese perspective; Koichi with his knowledgeable and cool demeanor; and Kristen with her kind and hilarious role as the showâs tsukkomi. Listening to Tofugu is a nice escape from hours of studying grammar and flipping through virtual flash cards while at the same time continuing to learn Japanese in a casual environment. You get to learn how Japanese people normally speak while also learning the reasoning behind strange rules and irregularities for certain Japanese contexts. Often times the presenters would ask each other questions that I would like to ask native Japanese, giving me the impression that there are, âno dumb questions.âOverall Iâm a happy listener and look forward to future episodes of Tofugu! For those of us trying to squeeze Japanese learning into wherever they can in the day, this podcast is gold! They go deep into grammar points and theyâll inevitably impart new colloquial phrases and vocabulary to listeners. It would be great if they upped the frequency of these as I love listening in the car AND it the sounds of Koichi, Michael, Kirsten and Mami south my little one in the car seat!! Love that these podcasters donât filter!! Actually I donât really have any to compare to as this is the first time on Apple iTunes (for the purpose of Tofugu). Donât cave into the hate, the tangents keep it fresh! Content thatâs purely educational is very abundant and intrinsically dry, whereas with Tofugu, I enjoy listening to it, thus I happily consume more content. A great orchestra of learning and laughing! I really enjoy listening to the Tofugu Podcast! Iâve learned so much more about Japanese culture and the language than I did while I took Japanese in high school. Highly recommend! Everyone on the podcast is funny and brings a different personality which makes listening enjoyable. I appreciate the content for the most part. Sometimes itâs a little slow moving and/or goes off-track, and the humor is hit-or-miss, but I think thatâs the fault of a certain couple of hosts. I donât want to call anybody out by name, but for me they are a distraction at best, and at worst send me into âok I canât take any moreâ territory where I start mashing the skip-ahead button. This podcast is incredibly fun to listen to! I listen to it all day at work and it is the best part of my day. Kristen and Kanae are definitely my favorites.Only downside is that new episodes arenât released more often. I wanted to like this podcast because the content on the website is high, however, the hostsâ (except the Japanese girl) childish comments and jokes are too distracting and make it a pain to listen to. I recently discovered this podcast and while all the tangents make me crazy (I say that in a loving way) I have to say I'm picking up a ton of sweet tips. From the rendaku episode, which answered burning questions I've had for years, to why it's creepy to take photos of people from far away (OK I knew that, but I did it once and the person saw, and your episode opened up a wave of shame) - well, anyway, it's great and I learn something new every day. Last night I listened to the episode about taking a group of friends to Japan, and So my question is, can you tell me more about places you love for group dinners in Tokyo, as well as cool places to visit? I'm taking a group of 8 friends there next spring, and I'd love to know if you have any suggestions for great izakayas (we're staying in Asakusa and have a couple of veg-heads in the group). If not, I'll just try Taelog - great idea, thanks to you! - and also, any cool obscure sights or museums you'd suggest? Mori Digital Art Museum is freaking amazing so that's on my list, but I'd love to hear where Koichi likes to take friends when it comes to sightseeing. Lastly, thanks for the sweet idea of making pins on a map and sharing the map with the group! Can't wait to try that.Thanks again! Your interview with David Elliot Jones was riveting. Of course I had to go buy it and watch it. Totally worth it. A fascinating perspective on a subculture within the Japanese entertainment industry. I hope the documentary becoomes successful enough to force Mr. Jonesu out of retirement? Once again the Tofugu team delivered, keep up the great work. Delightful podcast â informative ~and~ entertaining. But when it goes way off the rails, Kristen can get it back on track by cracking the whip. Keep up the great work, everyone! Especially Kristen. Kanai is the beatbox Queen! The rendaku podcast was fun and informative but nothing will come close to Mix-master-Kanai! Keep up the good stuff guys! Really enjoyable podcast. Plenty of insider information on interesting topics. Koichi is a knowledgeable host, who never takes himself too seriously. If you are interested in learning the Japanese language, or diving into Japanese culture, please give it a try. While the first season had some interesting episodes and moments (I particularly enjoyed the episodes on FFX and translation), it had a tendency to at times lack focus and ramble a bit too much. I think the latest season strikes a much better balance through more careful editing, with the result that I've found all the episodes to be remarkably good. The topics and content have been well curated to provide appeal for advanced learners and beginners too, I think. Keep it up! I tried learning Japanese on my own several years ago but didnât stick too it. Just a couple months ago my hubbs and I decided to give it another try together and between the Tofugu website, WaniKani, and these podcasts Iâve learned so much more in the past two months than I did studying on my own for an entire year. I really enjoy the personalities brought to this podcast and feel like these would all be people I would genuinely enjoy being around in person. Thank you for all the work you guys put into making Japanese a fun and accessible language to learn! I created an Apple account just to leave a review for this podcast. Contrary to many other reviews, I actually enjoy Koichi and Michael's humor and conversation digressions. I also love the interesting topics you guys come up with for each episode. Sometimes I feel like a mega nerd when I'm listening to the podcast while doing WaniKani at the same time. Also, I have a shoutout for my boyfriend Austin whose birthday is on July 31st so give him a Japanese-y birthday wish for me! They're talking about interesting stuff, but the podcast just feels a little too loose. It's clear the conversation is uncut so you miss nothing, but that means that every awkward lull or punchline that falls flat is also there eating up time. This causes two problemsâ the podcast can be frustratingly slow in its pacing, particularly when Michael and Koichi are trying to recover from an awkward joke, and the podcasts are longâ I don't really want to listen to an educational podcast for over an hour at a time, particularly when I know that more than half of it is filler-banter. Again, the banter in and of itself is not bad, but you could easily cut these podcasts by 20-30 minutes without losing anything in terms of real content. Great podcast but now Iâve listened to everything they have. Please make more content. Tofugu is the best! This podcast, the blog, and Wanikani (lifetime member here!) are excellent resources and tools for studying Japanese. The podcasts have many tangents, and at first they frustrated me, particularly in episodes on grammar. But after extensive meditation, I've come to accept the tangents as inescapable and inevitable, and rather funny. Also - perhaps this doesn't matter to most people, but some podcast hosts have annoying voices. No strident or sharp voices here! I'll be listening to Koichi and company's dulcet tones for as long as they keep recording. I've been listening since nearly the beginning of the podcast, but the last few episodes encouraged me to actually open iTunes to review it. In the past year, many of the episodes are interesting and goofy, but not always educational. However, the last few episodes have been more focused on the Japanese language with the right amount of goofy fun of Tofugu. Which is exactly the content that I listen for. I hope after enough people learn Japanese with Tofugu, we can together figure out how to get Abe-senpai to notice us.Keep it up! I really love this podcast. They get off topic a lot, but I sort of enjoy some of the weird tangents. It would be great to hear more episodes about various nuanced Japanese language topics. The recent episode about compound verbs was super helpful. Thank you for including so many example sentences! Congrats on the award and thanks for all the content you guys offer to help people learn kanji, culture and fun stuffs like that! Tofugu does a wonderful job of helping me learn something new every week. Whether itâs about traveling in Japan or resources to help you learn the language, the hosts do a great job of teaching you about a variety of topics.Speaking of hosts, Timetraveller Koichi and Robot Michael keep things entertaining, and their frequent guests Kristen and Kanae help reign things in and bring a wonderful spin to the topics. From time to time they bring in special guests like BL mangaka ghost Julia Childs and Mars colonizer Elon Musk. Regardless of your level of Japanese knowledge, Tofugu is definitely a podcast youâll want to listen to. If you want specific answers to specific questions or concerns than this podcast will frustrate you as Koichi and Michael seem determined to ramble and veer off to bad joke old. However, if you want a podcast that makes you feel connected to the odd subculture of Japanese language nerd-dom AND will load your brain with tons of tools and resources to help you continue on the path to language enlightenment than this is the podcast for you!When everyone else gives you a weird look, a tilted head, and a gigantic âWHY?â screaming through their body language, the Tofugu podcast will be there to make you feel sane and stable in your interest and love of the Japanese language and culture. (Or at least it has been for me). Each episode is a plethora of entertainment, suggestions, and education, and each person on the show is very personable and always have something interesting to say or teach through their personally experiences. However, the show has a very loose structure, so itâs best to enjoy casually instead of listening with full educational intent.Overall this is a great podcast to listen to, not only to learn more about the Japanese language, but also to feel connected to the community of people who enjoy it as well. This is definitely my favorite podcast. It's delightfully awkward, and the conversations seem real. The Wanikani ads are also a highlight for me. Thanks for making such a great podcast! We recently discovered this podcast - looking for Japanese themed ones - my kids are self taught and love Japan. Anyway, we think Kanae is amazing and those other guys are decent too. Keep pumping out the fun banter! They are a funny lot to listen to. They have some really unconventional topics about Japan usually that I wouldn't have gathered from anywhere else. Thanks! This is a fun and educational podcast series on Japanese language and culture with a level of quirkiness that reminds me of Portlandia. The producers really go out of their way to have diverse topics in a lighthearted manner. This is really hard to do all the time. So, I give them 5 stars for all their hard work. Although, I think the topics could be more random. I love this podcast. Iâve been a longtime reader of the blog, but this podcast is so much fun to listen to and always introduces interesting aspects of Japanese culture or helpful hints about Japanese language learning. Also, I may be in the minority here, but I love Koichi and Michaelâs tangents. Such a great, quirky podcast! I love the in-depth information I get to learn about life and work in Japan. I don't like the two guys who riff non-stop to the point of interrupting guests who are trying to explain things. Makes me turn off the episodes after a little while, even though I wanted to hear more insight from the guests.